Summary: Read the following seven pros and cons regarding employee monitoring. Much can be learned about your business by monitoring your employees. But are you ready for the consequences of doing so? Read this article to make sure. Every employee needs to be monitored, and that's not meant to be a negative assessment or chastisement. Every employee - including strong, dedicated and productive employees need to be monitored. This is because employers need to know their workforce. They need to understand who does and who does not bring an adequate amount of effort and output to the table. 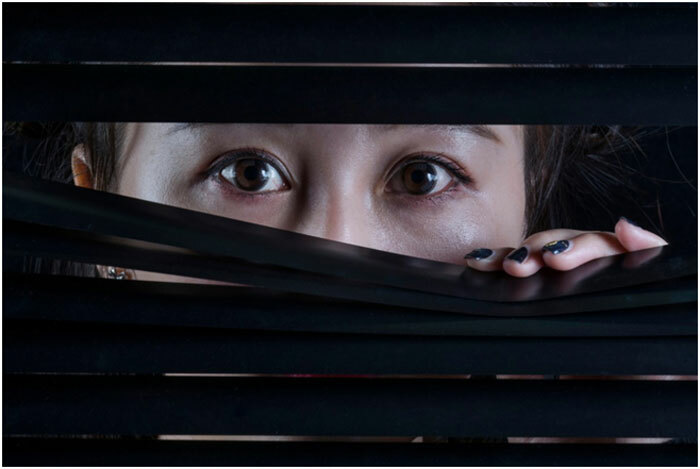 While yes, employee monitoring on its own can come off as somewhat creepy, it still remains one of the surest actions an employer can take to truly read into the pluses and minuses of his or her business. Observe employees and witness first-hand how they perform or don't perform within the responsibilities and tasks of their job. Employers can witness as a whole if their business is functioning properly or if it needs attention in certain areas or on certain levels. Employee monitoring is an effective tool that can determine a business’s safety. For instance is each employee fully capable of performing their job, or if not, do they need retraining? Is their job safe, or is the job or how the employee executes the job constitute a potential health risk? For as many pros that employee monitoring can present in an argument for itself, there are just as many cons. Keep reading to find out what the pros and cons are of employee monitoring. A large benefit of employee monitoring is the capability of a business owner to increase worker productivity by limiting what could be potential distractions to the employees. Through monitoring software, it is possible to detect when employees are wasting time on activities that are not related to their work and see how long they spend with these distractions. From there, a business owner can either block access to these distractions or otherwise guide his or her employees to not partake in these interruptions while working. This includes limiting internet access to sites that focus entirely on the job at hand, while omitting other sites from the employees that have little to nothing to do with their work. As employee monitoring is implemented in a business, an employer will soon have a viable record of where time and resources are being spent through an average workday. This record allows an employer to figure out where resources can be better allocated and what tasks should be lowered or raised in priority. This prioritization allows an employer to find out the importance of tasks their employees may or may not be spending an adequate amount of time on, and with that optimize schedules and deadlines for any given task. This aspect of employee monitoring goes beyond the employees to focus on cybersecurity. After all, a business these days is only as good as its website and online content. However, if either one is threatened, the site and its content may find itself down for the day’s count; maybe even the week’s count. Sure, while hacking into a company’s online presence can be as much an employee’s fault as it can be the hacker themselves, an employer’s first line of defense should be to monitor user behavior. With this type of monitoring, employers can detect employees who seek to damage the company as a whole. This monitoring can also help detect hackers (if any) that also want to cause harm to a company. The employee themselves, yet during the dead of night when they would normally be home sleeping. Employee hacking is certainly a possibility worth investigating if that employee’s account has been compromised. By using monitoring software to track user input on their work devices, it’s also possible to tell if their device has been infected with a Remote Access Trojan (RAT) and is being used remotely by a hacker as you will detect user input even when no one is present at the remote device in question. Another way that employee monitoring can help tighten up security is by keeping an eye on who accesses what. Whether it’s done maliciously or by accident, employee monitoring software is able to help alert employers when a user accesses data that they are not supposed to. This information allows employers to investigate a potential breach or behavior that is overall suspicious and find out if it was done with malicious intent or not. Through this, employers can help safeguard their sensitive data against insider threats. An important action for employers to take before implementing employee monitoring is to explain it to their employees beforehand. Without a doubt, many employees are generally wary of monitoring software. Given this, a simple explanation detailing the benefits and goals an employer hopes to achieve with employee monitoring can make the process operate significantly smoother. If an employee has a better idea of how things like monitoring software can help benefit both themselves and the company, then they are more likely to warm up to the idea of being monitored while they work. Obviously, when implementing employee monitoring, it’s important that employers make sure they don’t break laws while doing it. Although laws differ depending on country and state, the general rule of thumb is that employers should never monitor employees’ personal devices unless they have given their permission in writing. Likewise, it’s often against the law to monitor employees outside of working hours. While it’s imperative that employers look up the laws in their local jurisdiction, employers should also keep the trust of their employees by not only informing them of the pending monitoring, but should also get written consent from the employees to do so. This will generally give an employer the legal right to monitor them in most cases. Employers need to be aware that different laws exist regarding a business’s location. In short, employers should always look into these laws before implementing any form of employee monitoring. As you might guess, there are real and present cons to employee monitoring, none of which are favorable to a productive work environment. Nonetheless these are issues that are worth considering for an employer if they do decide to introduce employee monitoring to their businesses. 1. Employee monitoring can injure employee trust. Any employee monitoring policy will more than likely hurt someone on your workforce, putting into jeopardy your employer/employee relationship(s). Depending upon the culture of the workplace, this could be an injury that goes beyond repair. This is especially true if the monitoring is implemented after an employee has been hired or employees have built a reputation for doing the right thing. 2. Employee monitoring can reduce motivation and commitment. People don’t like to be watched. If an employer is watching every action an employee takes, then there isn’t much motivation to do anything but look for a new job in their spare time – which in some cases will happen if an employee feels uncomfortable while being monitored. If in the very least, an employer can expect some employee push back through a lack of motivation and/or a drop in worker retention, which could result in the death knolls for any business. 3. There may be privacy issues involved. 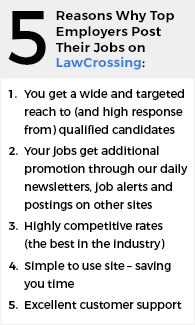 Are you certain that you can legally pursue your employee monitoring? If not, you better make sure lest you get taken down by someone who works for you complaining of privacy invasions, etc. There are certain laws in place, dating back as far as 1986, that prohibit the interception of communication or accessing stored communications in an authorized way. Phone calls and emails are exempt, but other monitoring requires employee consent and that consent in many cases is unfortunately assumed instead of asked for by employers. 4. Employee monitoring can be expensive/there is a certain cost involved. To implement employee monitoring, there must be an investment in the technology that makes it happen. There are also staffing costs involved because someone has to look at the data which is being collected. 5. Who will watch the watchers? This is where the debate about employee monitoring often goes. You’ve got people who are watching the data being collected, but who is watching the people that monitor the employees and the data? Eventually there will need to be a person or in larger cases of employee monitoring, a team that oversees the implementation of standards while understanding their position’s power and how it can lead to abuses. 6. Employee monitoring can lead to discomfort, which can inhibit workplace performance. Nervousness, extended sick day periods, or an out-and-out mass exodus of employees can be the result of your employee monitoring. Of course, when that happens, your businesses’ workplace performance can suffer dramatically. As you think about employee monitoring, give particular consideration to your employees and how they may react to your actions. Ask yourself how they will first act about being monitoring, and whether or not they may get used to it and learn of its benefits after some time with monitoring in place. 7. Unfavorable rumors may crop up among others within your industry. No employer likes negative press when it comes to them and their business. Well, to put it directly, it is more likely than not that employee monitoring isn’t going to earn you any pats on the back. In fact, the polar opposite may occur in which employers and employees alike within your industry may now see you and your establishment in a negative light, which can ultimately affect your business, especially if that negativity spreads into the public. Should you have job vacancies to fill, or need help from a fellow business owner in your industry, your employee monitoring may inhibit your plans, needs and wishes for a successful company. While the pros and cons of employee monitoring are designed to help maintain productivity and reduce factors that could be the cause of litigation, it unfortunately is also an action that can lead to mistrust or different forms of litigation. Ultimately, the decision is up to each employer. Every business environment is different. Some teams may accept monitoring without question. Others may just quit. That’s why this subject must be carefully evaluated at the local level before any sort of employee monitoring begins. When You Die Does Your Brand and Employees Die With You? How Well Do You and Your Employees Know Your Business’s Brand?